Yeah, once edited you click on Make Path to get the Blue line across your work. If the blue line can't be created it might conflict / intersect some other part. The idea is that the outline is a continuous shape / line so that it can become one mesh with vertices. I use the Linear Extrusion method from the Library. There are other means of accomplishing this but the shapes I got with this outline-method are very cost friendly. I seem to be having a lot of stability issues. 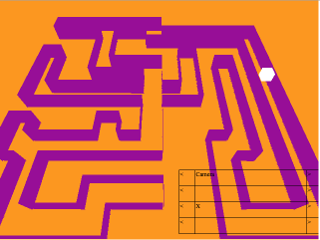 If I create a simple maze and then click "create path", the "generate 3D" button completely disappears. I can still click on the space it was in, though, but then the screen goes completely blank. 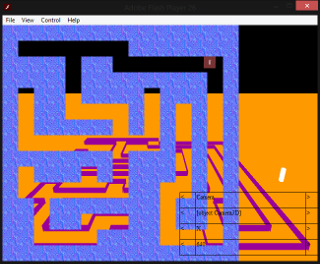 I'm not sure if this means I drew a maze in which the blue line can't be created at all. I tried a few different times, though. 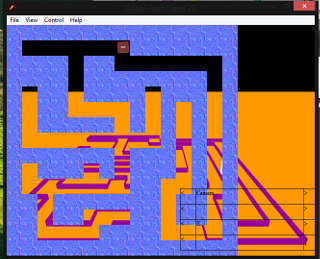 Generating a random maze works perfectly. So sorry that you seem to be having problems with this. The generate 3D button disappears when there is no blue path. 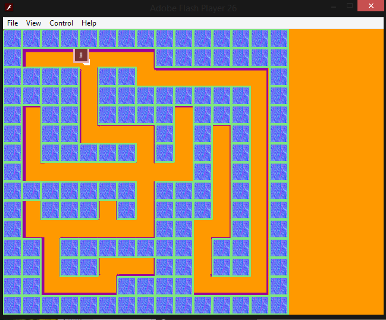 I think you are trying to create a maze where the blue line can't be generated. Care to show me a screenshot? This happens to me sometimes as well. But usually clicking some paths away or add one or two solved it for my occasions. I'll see if I can reproduce it tomorrow. Don't be surprised if I just did something wrong I tried to make a maze that spelled out "Hi" (it's my own variant of a "Hello, World" program I've always used to test tile-based routines). I thought that maybe having two disconnected regions caused the problem, but I also tried drawing a straight line. Thanks for this. I was able to reproduce. But even with that note I couldn't get a line on 16 to 91 work. I will have to see what is going on. This is really impressive, even if this solution didn’t have the latest 3d features I think to have some 3d elements in a 2D game can be a very cool feature, very exciting stuff! Thanks for the feedback BonZero. Today I'm starting to create the actual extension as I ( think I ) have now most of the sample code ready to make a first person maze walking game. One of the things I will be looking at for other projects are 3D background(objects) for a 2D game. As well as a 2D based platformer that is visually a 3D representation. @Merrak: As far as I can tell your issue should be resolved. At least when you start at position 16 and keep your shapes connected. Today I started to create the actual extension. I was generating a bunch of meshes using the extension block with random mesh data.
! Like a 2.5 d? I'd love a 3d background scene or 3d objects in a 2d game! Thank you Squeeb for your nice words. So far I only managed to get 3D Objects to appear BEHIND Stencyl objects. So a 3D background should be feasible. There is one major issue I have with combining a 3D scene with Stencyl: Scene background in Stencyl should be set to 'no color'. Once you have one scene in Stencyl with a (gradient) background it will never show the 3D scene again. Hopefully one day I find a way to workaround this. I've already made a really simple 3D Scene based on some Stencyl actors with Box2D physics on them so I want to experiment with this further to see if I can make 3D objects match all the physics engine stuff that Stencyl has. Rotation, Position, Scale should be feasible, but I'm not sure on the mass/airflow effects. At least this gives some 3D effect but on a fixed z-axis. We will see what comes out of these experiments! Last week I’ve worked on getting a real 3D Maze Game going. Creating extension blocks along the way. This is what I did with the mazegenerator data. I’ve created dynamic tiles based on the generated data. But once I tilted the camera the Z-coordinate was misplaced and it messed up! For someone who is more familiar with 3D programming this might be an extremely easy task but I’ve yet to find the magic code. I assume you are trying to project the white ball from 2D Stencyl scene coordinates to 3D maze coordinates, then project to screen coordinates. Is that right? Thanks for trying to help merrak : I appreciate it! But : I was sooo stupid! Actor in Stencyl was not 32x32 , which I assumed it was ! I’m still going to find out how to get a better mouse behavior, but it was too confusing for so early on in the 3D game development!!! This looks complicated. Nice work!